Inspired by the artisan traditions of the great American and European ateliers and a bucolic yet enlightened childhood in Greenwich, Connecticut, Katie Fong creates apparel for the most discerning woman and their most important life moments. Many elements of Katie Fong’s designs are based on techniques studied at The Fashion Institute of Technology, Oscar de la Renta, and Vera Wang. She believes that clothing should be as beautiful on the inside as it is on the outside and insists on the highest level of exquisite craftsmanship and detail. Her unique designs – from gowns to short dresses and separates – are sought after by women who want to feel and look special for their special occasions, including weddings, graduations, charity and business galas. 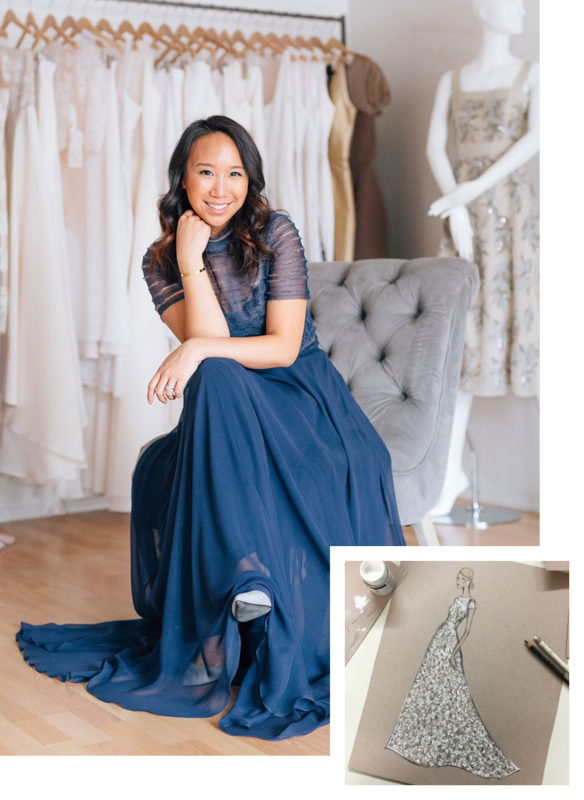 Katie Fong takes pride in using the very best manufacturers in New York City and on integrating her designs with the finest fabrics, laces and embroidery to give women a sense of confidence and playfulness as they celebrate the notion of timeless elegance.